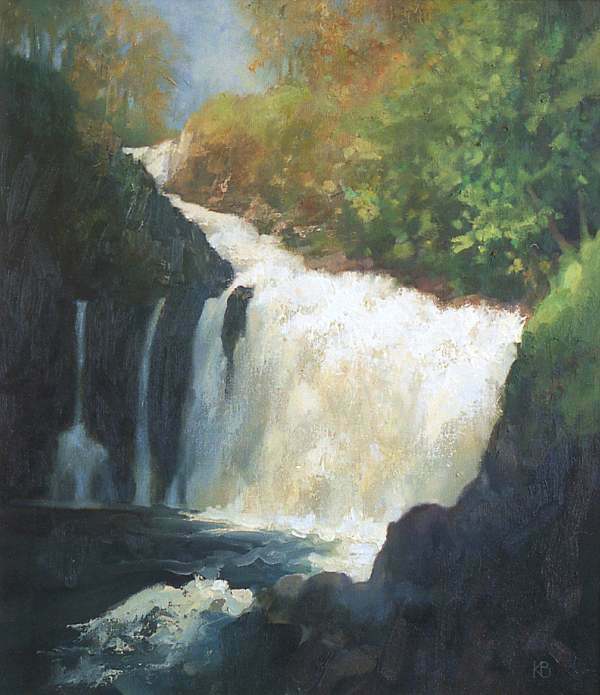 Oil painting of the waterfall at Reekie Linn near Alyth, in Angus. Painted first as a tonal study using Burnt Umber and Cobalt Blue with broad indications of the foliage. Developed later in the studio, mostly with a palette knife.